Christmas began in November for employees of Leilani’s on the Beach. 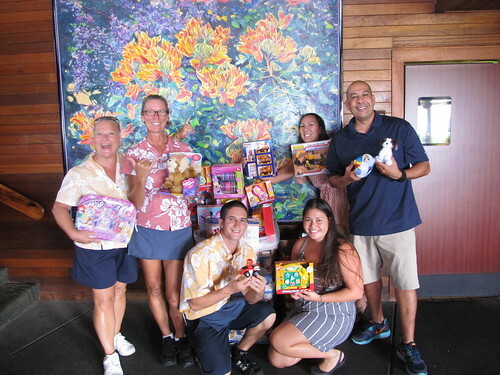 That’s when they started bringing toys to work to donate to the Imua Family Services Children’s holiday party. Employees of the TS Restaurants’ location amassed more than 150 toys in support of the organization, which provides help and support to families facing challenges with their children’s development, behavior or disability. The gift-giving has been an annual drive for TS Restaurants for well over a decade. Their donations have helped more than 400 children receive Christmas gifts this year.